New York was an inexhaustible space, a labyrinth of endless steps, and no matter how far he walked, no matter how well he came to know its neighborhoods and streets, it always left him with the feeling of being lost. Lost, not only in the city, but within himself as well. Each time he took a walk, he felt as though he were leaving himself behind, and by giving himself up to the movement of the streets, by reducing himself to a seeing eye, he was able to escape the obligation to thin, and this, more than anything else, brought him a measure of peace, a salutary emptiness within. Paul Auster is not a person i know for taking a stance on something. High postmodernism is over by the time the trilogy is composed; it’s no longer a question of who is in or out. 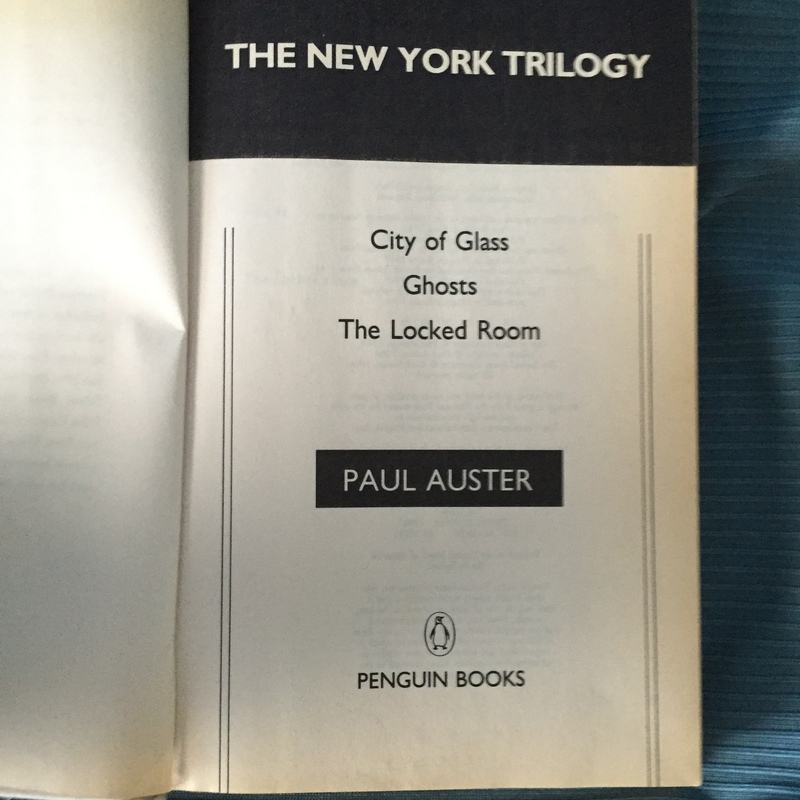 Auster was also at Columbia during the heyday of the Weather Underground and the domestic terrorism against the Vietnam war, and even then he was not willing to board “the great ship of solidarity” as he called it in HAND TO MOUTH, only to bear witness. (And with melancholy, since i remember reading in that memoir that an acquaintance of his was killed in a premature detonation.) He’s not “in” or “out” of pomo writing practice, but the Trilogy is three variations on the same idea: what happens when the protagonist is body slammed into the postmodern event.